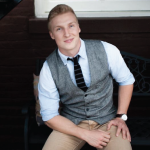 Austin Woods is currently serving the Lord as a missionary at Calvary Chapel Hastings in Southern England. At Calvary Chapel Hastings, Austin’s primary areas of responsibility typically involve serving the local church through evangelism and outreach by helping to lead street evangelism efforts for the church, assisting with weekly church services and youth group meetings, and managing regular Christian clubs and after-school programs for students of various ages throughout the community. Please pray for God’s continued presence and provision as Austin and the Body of Christ at Calvary Chapel Hastings seek to do their part in fulfilling the Great Commission in the spirit of the Great Commandment.